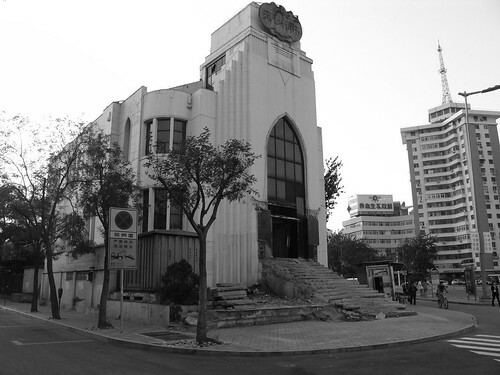 …and one entry on Tianjin’s (endangered) synagogue. Matthew provides plenty more photos, observations, and insight into Tianjin in each entry. Just follow the links above. I intend to blog more on religion in China, but I’ve been putting it off. It’s extremely complex, and as such I find it an intimidating topic to approach. I think Matthew has handled pretty well what he’s tackled so far. I love Tianjin. Lived there for several years. Even got married in Xikai. Tianjin definately has one of the richest and most bizarre collections of architecture still left in China. Anyone who loves the odd juxtaposition of new and old should visit Tianjin soon. They preserve alot of the good stuff but many beautiful old buildings will still be destroyed and replaced with the ugliest caca imaginable. My father was living in Harbin and Shangai, and my grandfather has the important commercial building in Nankin, and all about China is very important for me. My father’s family comes to South America, Uruguay first where I was born, and after Argentina, where I live now, and where they died. 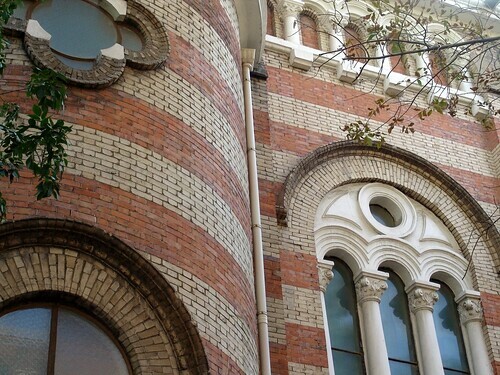 Can you please provide me the address of Tianjin’s Sinagogue? i am now in Tianjin and would love to visit the plae. Thank you!